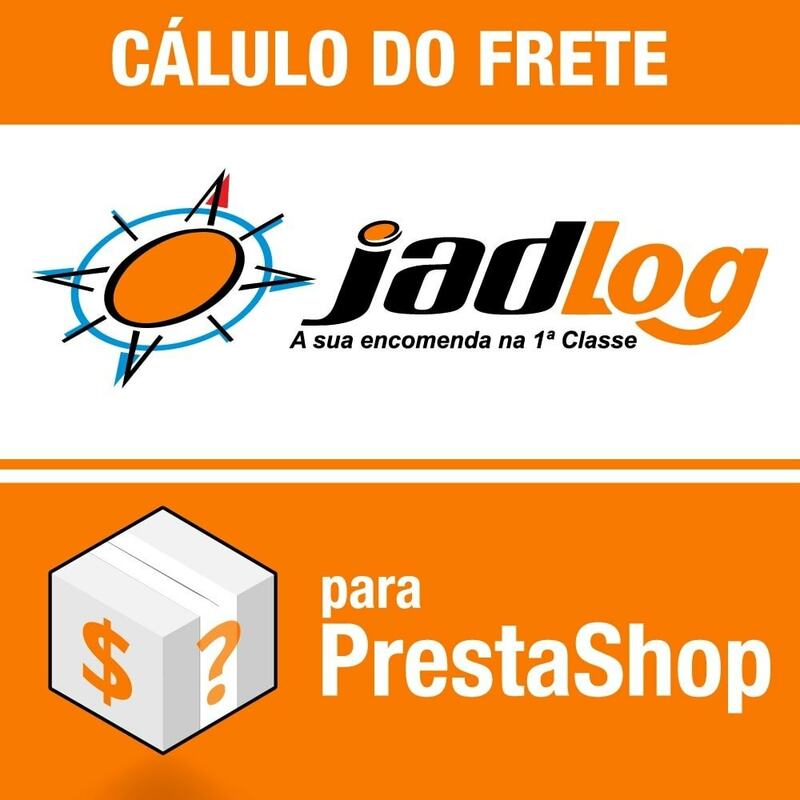 “Shipping calculation by JadLog” is fully configurable module that considers weight, transit and the storeowner’s rules for free shipping. We used JadLog technology and made the whole process integrated inside PrestaShop’s checkout and cart. 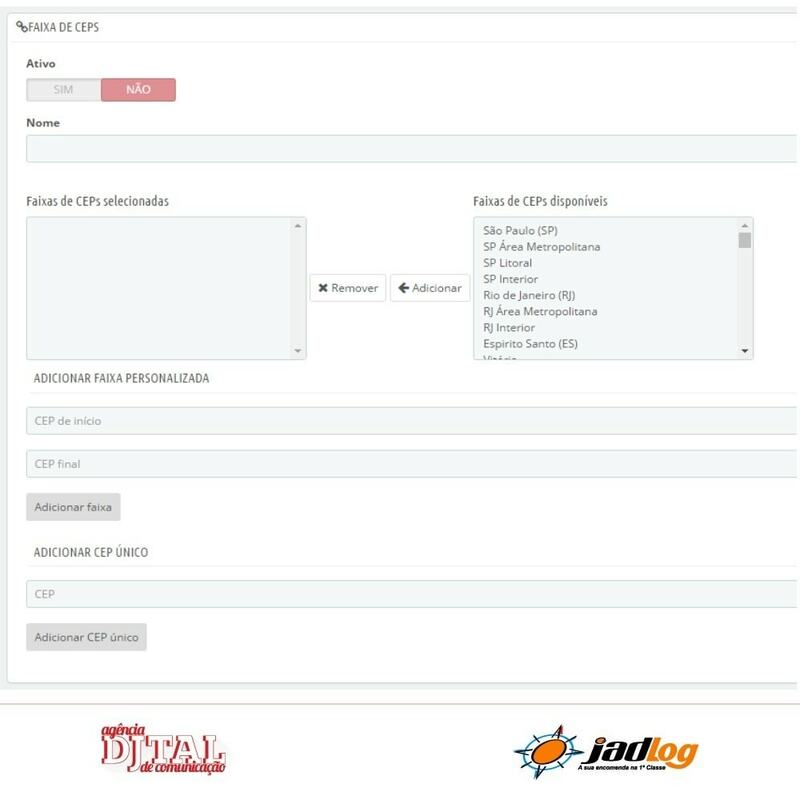 • JadLog shipping modalities – Your client can choose between Express, .Package, Ground Service, Economic, DOC, Corporate, .COM, International, Cargo and Emergency to calculate his shipping rate. • Integrated calculation with PrestaShop 1.6 – The weight configured in the product details of PrestaShop’s dashboard is taken on account when calculating shipping. • Free Shipping Rules – The storeowner can optionally set a shipping range for the cart where the shipping becomes free of charge. • JadLog technology - You can trust that our results will match with JadLog rates and transit time. 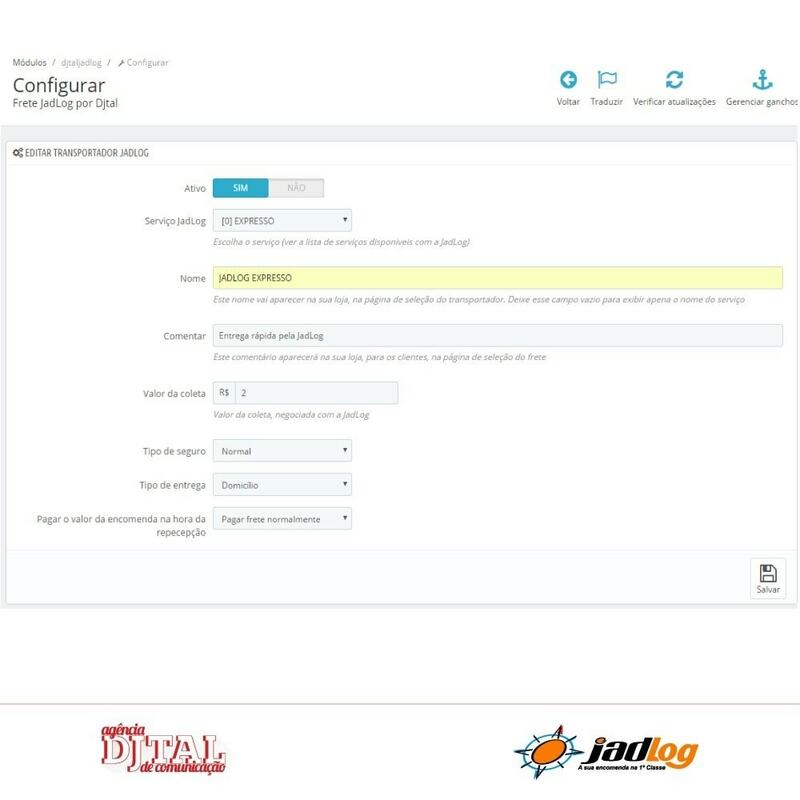 • Full configuration – The “Shipping calculation by JadLog” module was conceived to fulfill your configuration needs and be a true storeowner’s tool. • Less workload for the customer service people – The clients themselves do their shipping calculations. 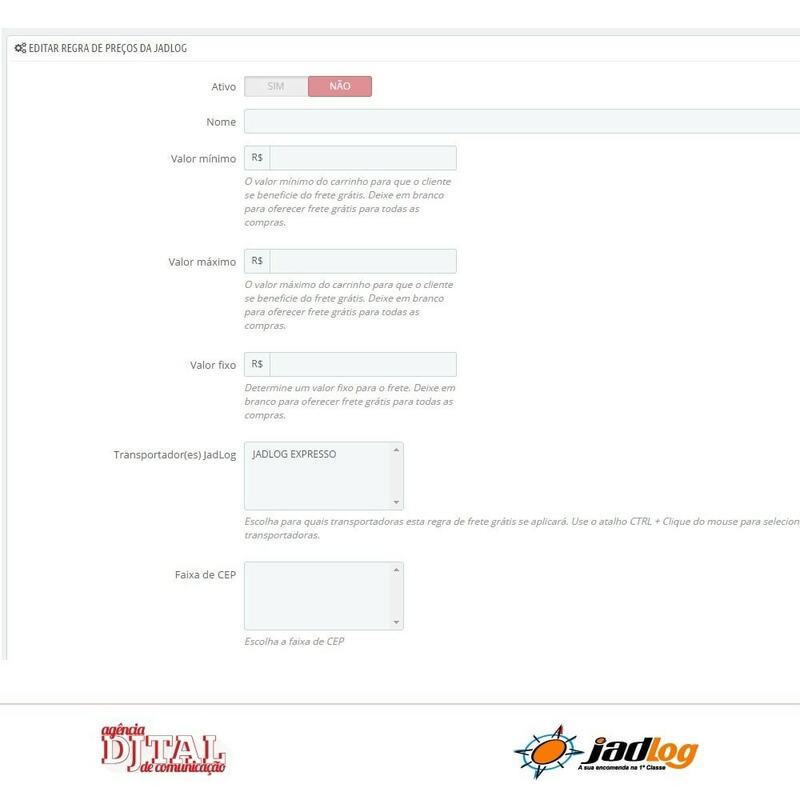 • JadLog technology for the shipping calculation process. • CEP smart saving – Your client don’t have to type his CEP for every calculation. • Dynamic full cart shipping calculation – Each change done to the cart by the visitor sets an automatic shipping calculation update. • Full integration in PrestaShop cart and checkout – The value of the las cart alteration appears in the confirmation of shipping step of the PrestaShop checkout. • Calculation results show the rate of shipping and transit time. • Calculation rules for free shipping instance. • Calculation for Express, .Package, Ground Service, Economic, DOC, Corporate, .COM, International, Cargo and Emergency shipping modalities. • Non intrusive web design. • Full module configuration by the storeowner. • Shipping calculations done in one click. • Smart window remembers the CEP of the client. • Update of shipping/free shipping values with each change to the cart. • JadLog shipping quality guarantees.